On Thursday 6th December 2018, residents at HARP, Southend’s homeless charity, were joined by media personality, businesswoman, activist and owner of the multi award winning International pioneering plant based food company, VBites, Heather Mills who hosted a Vegan Christmas Dinner Workshop for formerly homeless residents. HARP, who support over 1,000 people every year who are either homeless or at risk of becoming homeless, offer a programme of confidence-boosting training activities to their service users, including life skills like cookery and budgeting. The workshop was attended by seven people currently staying in HARP’s emergency accommodation where they are recovering following a period of homelessness, including a group of residents from HARP’s women’s hostel, White Heather House, which Ms Mills officially opened earlier this year. Ms Mills showed the residents how to cook a tasty, nutritious vegan Christmas dinner with all the trimmings, as well as sharing her experiences and providing a listening ear for those in attendance. Heather Mills, who has spent a life as an activist and campaigner of human rights and has appeared on many television programs, such as The Jump, Dancing With The Stars and Dancing on Ice, had a troubled childhood and went through a period of homelessness herself, so she was more than happy to take time from her busy schedule to teach the residents some of the basics of vegan cooking. 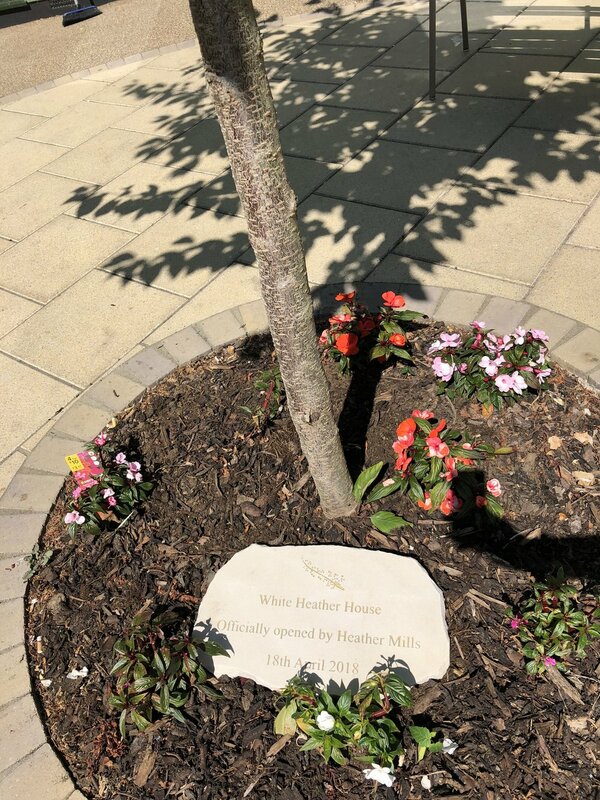 Heather was invited by Harp, a local charity aiming to end rough sleeping in Southend-on-Sea, to officially open White Heather House, a women's shelter on 18th April 2018. You made the opening of our new women’s hostel a very memorable one. I would like to say a huge thank you to you Heather for the effort you made with our service users. They were incredibly inspired by your attendance and grateful for the time you took to meet with them and listen to their stories. The commemorative stone has now been laid.